How to Listen: Subscribe (it’s free!) in your favorite podcast app. 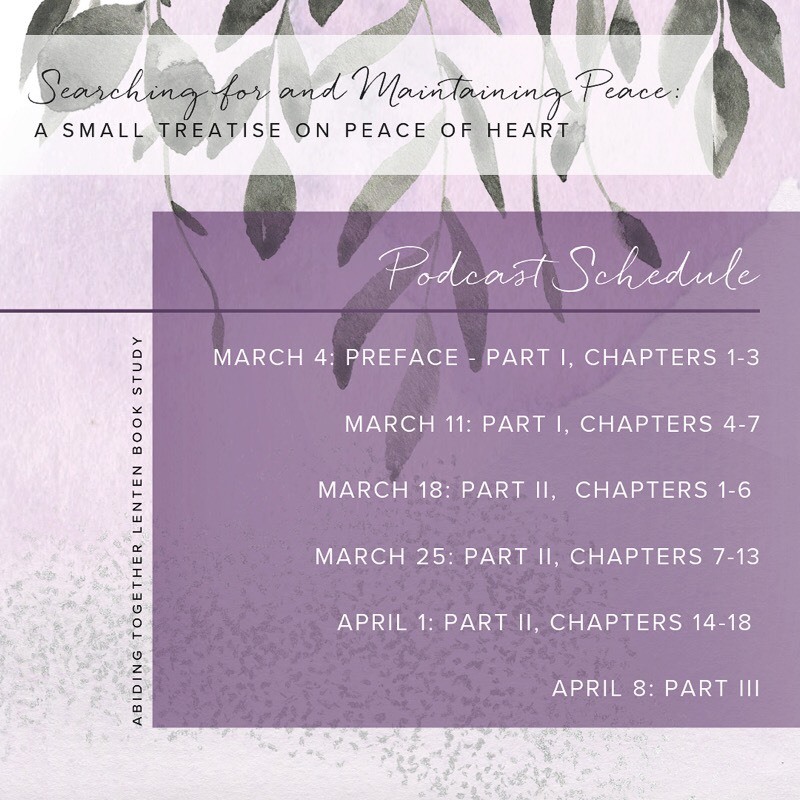 Today on the Abiding Together Podcast, Sister Miriam, Michelle, and Heather continue the conversation in week three of Lent on Fr. Jacques Philippe’s book Searching for and Maintaining Peace. We talk about how fear often causes us to self protect or hustle to escape suffering instead of trusting God. We discuss the power of making space for God and his providence in our lives and how we can trust him when we experience suffering. What is the biggest thing you fear will be lacking or absent in your life? Where do you think you need to make space for God to show his abundance and his providence? St John of the Cross says that God gives in the measure that we expect. Discuss that quote and how you can grow in expectation of God’s goodness. What area have you been acting as though you and your own power are the answer to the problem? How can you begin to open your heart to God there? Where in your life do you need to experience how capable and powerful God is? 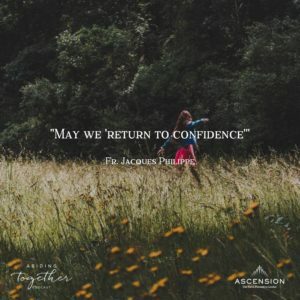 Why don’t you have confidence in God? 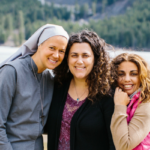 Abiding Together is a weekly podcast hosted by Michelle Benzinger, Sr. Miriam James Heidland, and Heather Khym. AMAZING!!! Love you ladies -thank you! Glad you enjoyed it Claire!